I have so many spring and summer clothes, just desperate to be worn, but despite the early April sunshine, it’s still much too cool for short sleeves. Buoyed by the success of the aqua cardigan I wore last week, I purchased it in this beautiful shade of yellow which will go with so many of my tops and dresses and will allow me to crack open the summer closet. My top is from last summer. Broderie Anglaise is one of my favourite fabrics and I’m always drawn to it. It’s so feminine and pretty. 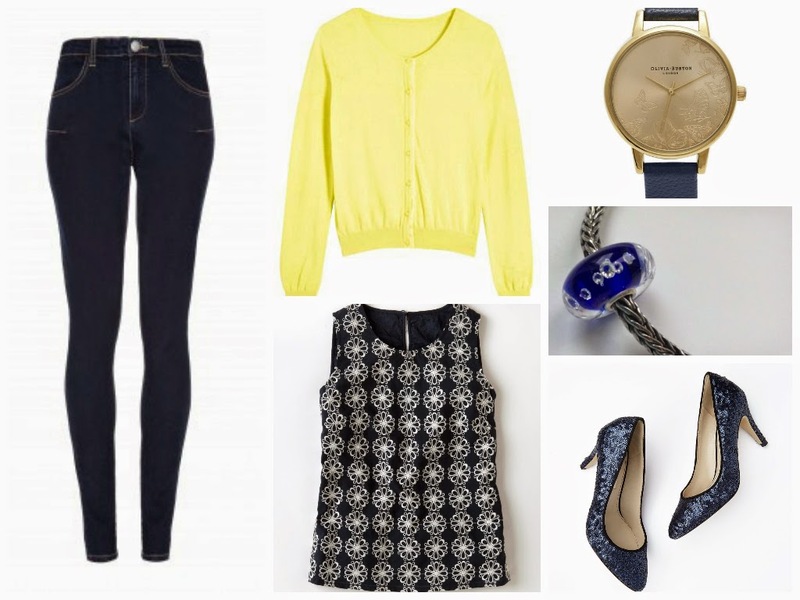 Lemon contrasts beautifully with navy. And, I believe that sequins are for Easter and not just for Christmas. Next Post Easter Outfit: Vintage Style Dress, Lemon Cardigan and Orange Shoes.